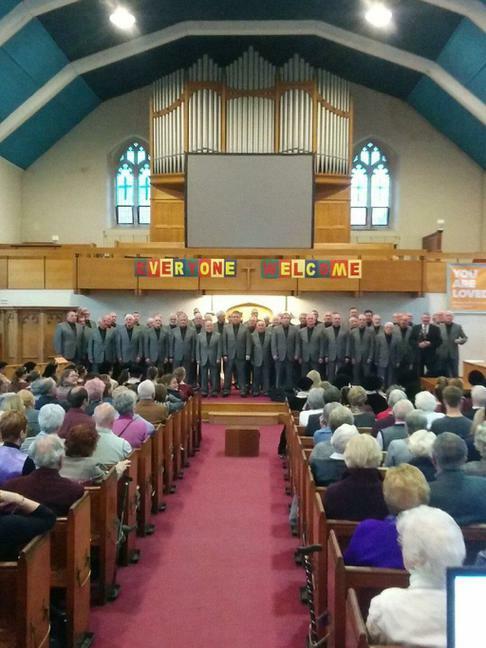 Thank you again to the organisers of Chomp at Albany Baptist Church. 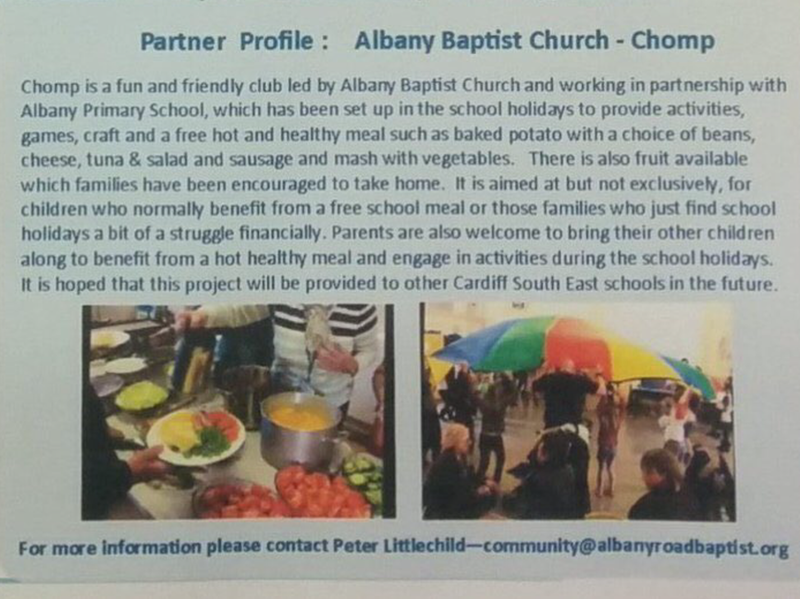 "Chomp is a club to provide a fun activity & free freshly cooked meal for children and their families who struggle financially during the School holidays"
We have had a number of families that have benefitted from Chomp. 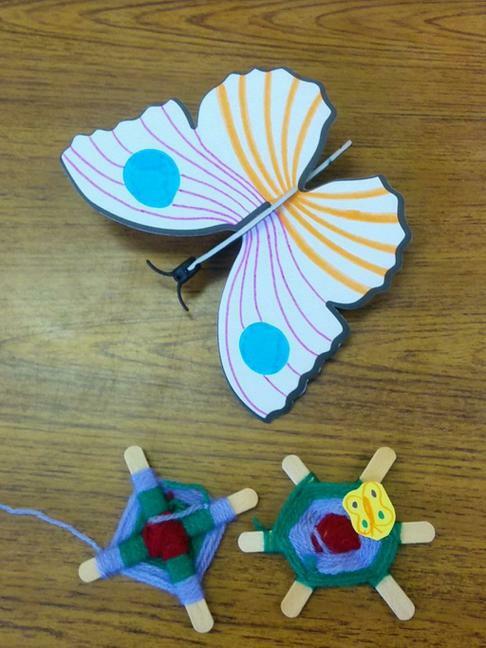 At present it runs on Tuesday and Thursday during the school holidays. It is free for people to attend but families must pre-register. 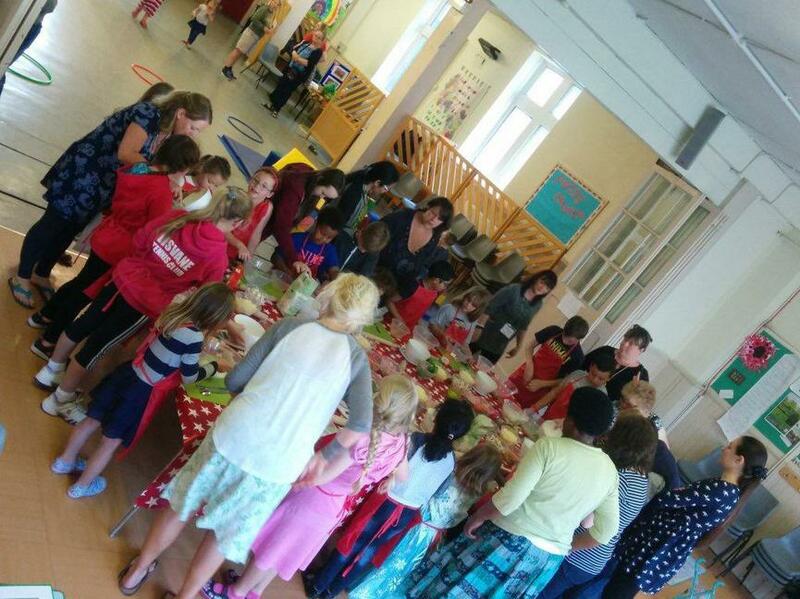 It is run by volunteers and relies on donations to run. 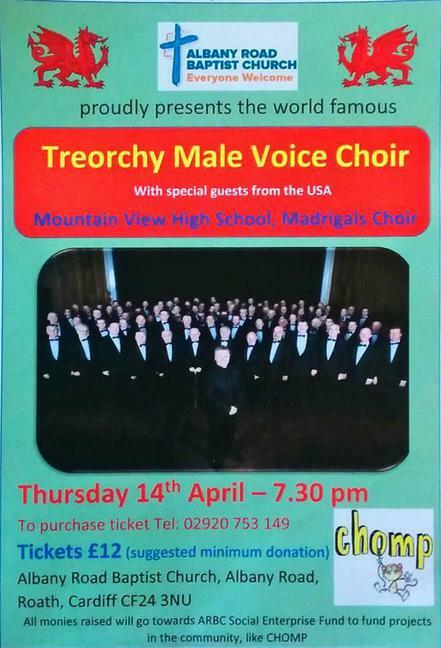 The people behind Chomp have organised a number of fundraisers including a wonderful concert performed by the world famous Treorchy Male Voice Choir.